40GBASE-SR4 QSFP+ is a new Multi-Source Agreement (MSA), supporting link length of 100m on OM3 MMF and 150m on OM4 MMF. 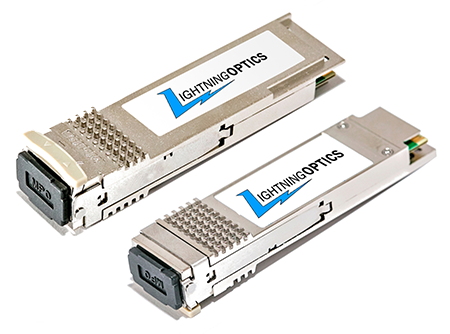 It primarily enables high-bandwidth 40G optical links over parallel fiber terminated with MPO/MTP multimode fiber connectors. It integrates four data lanes in each direction with 40Gbps bandwidth. Each lane can operate at 10.3125Gbps. Designed to operate in wavelength of 850nm. 100% compatible with your branding devices like switches, routers and data center equipment.